In 1997, Johnny formed the traditional Irish band Gallowglass, with brothers Mike and Kevin Meehan. Over time, the ranks of Gallowglass shifted and were joined, periodically, by numerous guest musicians on a variety of instruments, including Texan native Dan Lowery on Irish ﬂute. In one form or another, Gallowglass performed in a wide variety of forums that ranged from large theaters, to traditional folk festivals, to backyard gatherings. Primarily based around traditional Irish music, the band’s repertoire commonly combined outside elements such as Bluegrass, American Folk, and original compositions to their set-list. No longer a formal band, Johnny, and the members of Gallowglass have moved on to other projects, but still play together for special events. 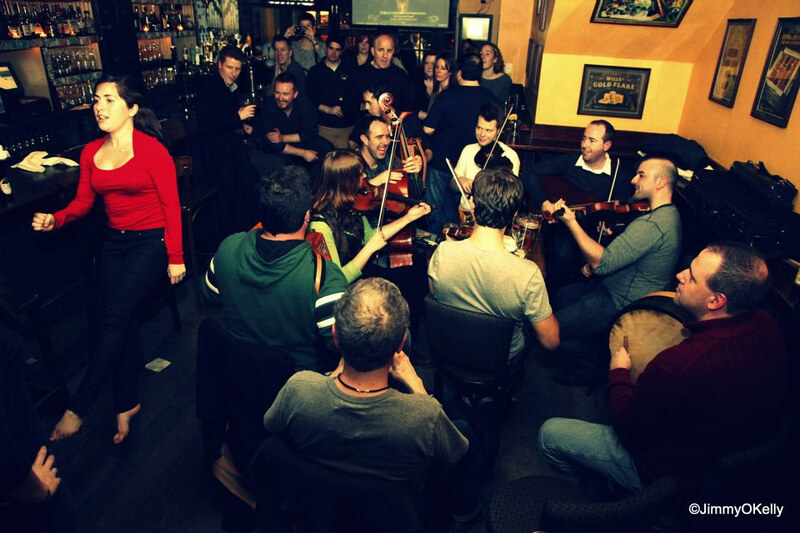 For over ten years Johnny ran one of the most popular traditional Irish sessions in NYC at O’Neill’s Irish Pub on 3rd Avenue, every Sunday night. Musicians from all parts of the world came in to listen, or sit in, on this multi-talented group of players. In 2012, Irish TV visited O’Neill’s and ﬁlmed some of the sessions there. With the close of the pub in 2013, Johnny has branched out and begun developing a following at several other pubs in the area. In addition, Johnny plays at various pubs around NY as an invited guest at other’s sessions, and is available for weddings, private parties and events. Please check out his current session lineup here. Please contact him at talesandtunes4u@aol.com to discuss incorporating traditional Irish music into your next event.